ICC has awarded ODI status to matches involving Hong Kong in this year's Asia Cup, it was revealed on Sunday (September 9). 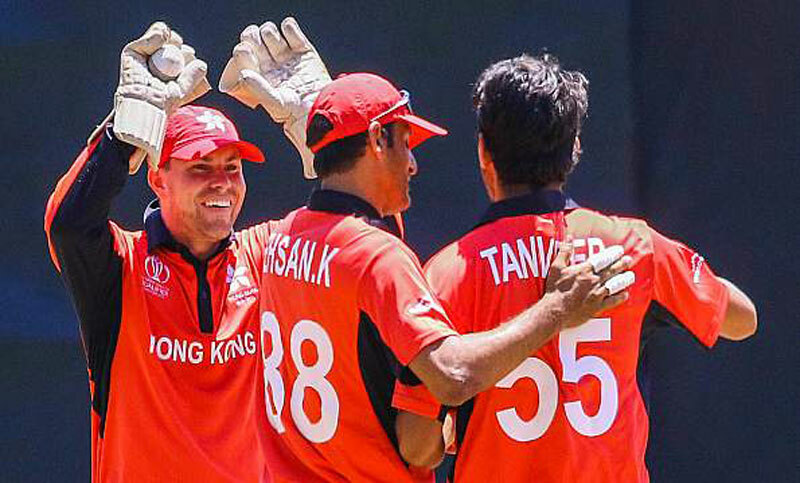 Hong Kong, who do not have ODI status, joined India, Pakistan, Sri Lanka, Bangladesh and Afghanistan in the six-team competition to be held in UAE after winning the qualifying tournament recently. The ICC confirmed that the decision was taken to make sure the fans aren't left confused during the tournament, like it was the case earlier this year during the World Cup qualifiers in Zimbabwe where certain games didn't have ODI status. India and Pakistan have been paired with Hong Kong in the group stage. "To grant ODI status to all matches in the Asia Cup is a positive step taken by the ICC Board as we continue to take an in-depth look at international cricket structures in relation to our long-term ambition of growing the game and adding to the one billion fans who already follow the sport," ICC Chief Executive David Richardson said. "In order to simplify the situation we will extend the ICC Cricket World Cup principle of all matches being ODIs to other tournaments where a number of the teams have ODI status and some not, this includes the Asia Cup and ICC Cricket World Cup Qualifiers. "The fact that these events are open to teams beyond the existing 16 teams that currently have ODI status is important and, accordingly, ensuring all matches are granted ODI status is befitting of the events and just reward for the teams that have qualified," Richardson further added. The ICC confirmed that the decision was taken to make sure the fans aren't left confused during the tournament, like it was the case earlier this year during the World Cup qualifiers in Zimbabwe where certain games didn't have ODI status. India and Pakistan have been paired with Hong Kong in the group stage.